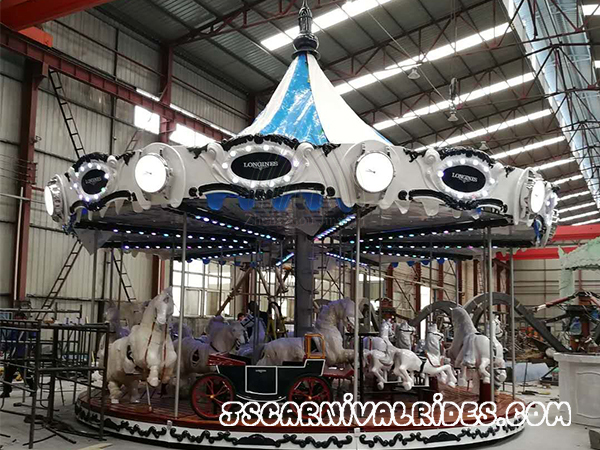 How to Maintain The Luxury Carousel? 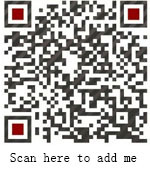 Home News Jinshan Blog How to Maintain The Luxury Carousel? *Whether the clamp nut has loosed or lost. *Check the appearance if has the deformations and cracks. *The switch is sensitive and reliable. *The action of part on or under the horse is fine. *Whether there have a special sounds or smell. *The temperature rise of motor is normal. *The power code is loose and the electrical indicator is normal. * The lubrication of antifriction bearing is well and the temperature rise is normal. the wear condition is excessive. *The main welding seams have no crack, open seams and other abnormal condition. *There is no crack in the joint bearing and shaft joint which are under the horse shaft. *Whether there is an abnormal condition of the fixed frame under the horse. 3.Before the operation, totest the machine will beno less than 2 times . After confirm all is ok ,then can be turned on. Prev： What Should Be Paid Attention to When Investing An Amusement Park?